Many Americans choose to age in their own homes where they are familiar with their environment. 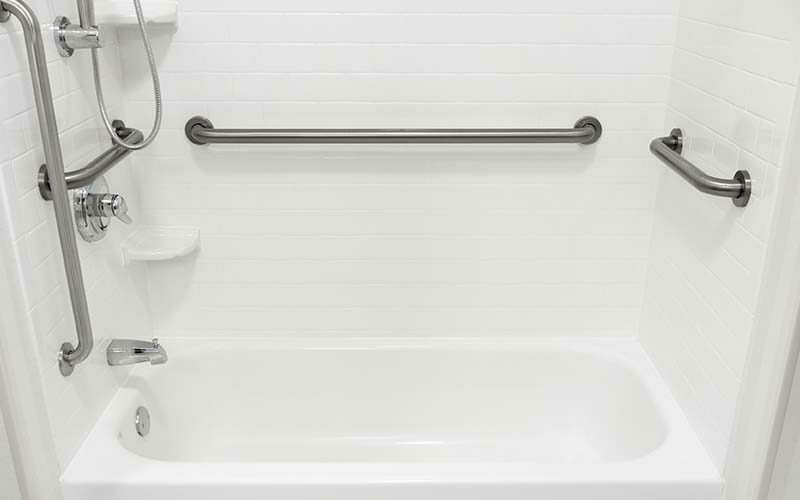 People of all ages value their ability to live independently and remodeling a bathroom in preparation for home healthcare or retirement will ensure convenience and safety. Lighting is important. Make sure you have ample lighting in the bathroom with a minimal amount of glare. Bathroom remodeling is a timely and cost-effective solution for homeowners who need to adapt their bathroom for safety and convenience while at the same time increasing a home’s value. The work may appear to be daunting, but you don’t have to do it alone. You may choose to hire an outside company to create a fully customized bathroom with minimal difficulty in as little as one day. A good way to start is by contacting Pace Medical Equipment & Supplies for home accessibility solutions. Our courteous, knowledgeable staff of well trained professionals provide one on one personal service. They will answer your questions and assist you in determining the proper modifications that will best meet your needs for safety, comfort and convenience.